The President is at the Floridian National Golf Club in Palm City for a weekend of golf. 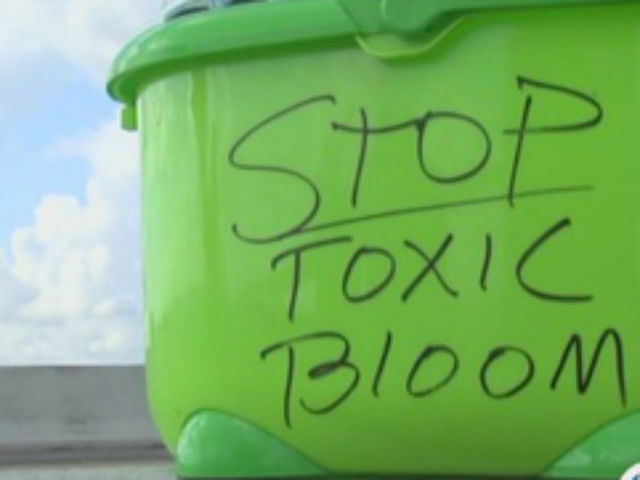 This morning, environmentalists used his visit to get a message out about the algae blooming in the St. Lucie River. With signs in tow, well over 100 people lined the Old Palm City Bridge. Martin County Sheriff William Snyder has one message for the President. “You enjoy your stay here, you enjoy being on the golf course, we need this river so that you can come back and enjoy it in the future,” said Snyder. “I fish mackerel, blue fish,” said Joseph Lloyd, a commercial fisherman. Lloyd says green algae blooms are busting his business. Meanwhile, protestors also appeared on boats pleading for the federal government to provide more money to save the St Lucie River. “We need help communicating with our congress to stop these toxic discharges,” said Martin County Commissioner Jacqui Thurlow-Lippisch.